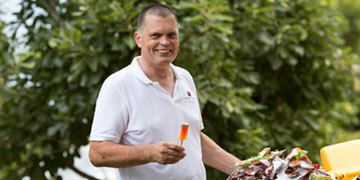 We already reported, that Johannes Strasser will lead the new Hygiene and Cleaning Concept at Wat Sakaew Temple. Now we can announce, that Face and Crowd Asia Pacific will support Johannes with a Thai translator, who will stay with Johannes all 8 weeks at Angthong. Oliver Thammikakun is well known at the temple, as the secretary of the Iceman. He knows every important person in the temple and will be the biggest help for the non-thai speaking Johannes. It will be a challenge – but I guess we have the 2 best guys at the temple soon!